Fortunately the snowfall wasn’t as bad as it could have been and Mother Nature provided a warm sunny day yesterday to melt off much of the snow and the forecast has much of the same for today, so the Icicle Will Go On!! We are however delaying the start by 2 hours to allow the temps to rise above freezing and melt off any ice on the roads along the route. Rider safety is at the top of the list when it comes to WCBC events and rides. 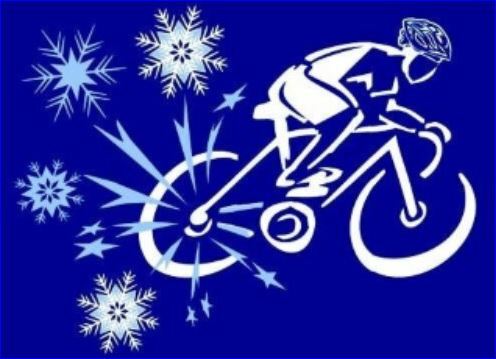 The rider is depending on the Club to put on as safe a ride as possible so we’ve decided that rather than cancel the event we will give it a chance to warm up and the sun to heat up the road surfaces. The route marking crews are out today putting down the route arrows and as they drive the route they will be looking out for any areas that may have a potential for icy spots at the beginning of the event. If they find any areas that concern them they will paint “ICE” in the roadway in advance of the area so you, as a rider will have some advance warning. If you see this on the road, please slow down, get balanced on your bike and proceed with caution. The warning doesn’t necessarily mean that there is ice, just that there is a potential for ice. This year we are again offering three routes, as we have for the past two years. We may decide that a certain route(s) is not to be ridden first thing in the morning if we see it may have the potential for early morning ice. If that is the case we will make those announcements at Registration and post a sign at Registration with instructions. Please look for any warnings as you pass thru Registration tomorrow. Even though the start is being delayed 2 hours, the route and rest stops will still close as scheduled. Those that were hoping to get in a 100-miler, it is unlikely that you will have the time to do that on the Icicle this year. Please continue to monitor the various sources for updated Club information. Any updates will be posted as this message has been.